Ecotex Evolutionmat Chairmat Provides A Green Footprint For Your Home Or Office. Enhanced Polymer Contains A High Percentage Of Recycled Content. 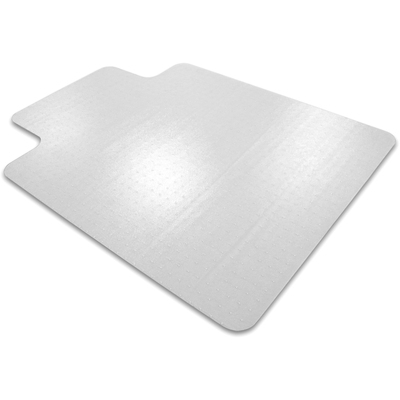 Extremely Durable, High-Performance Chairmat Provides A Rigid, Easy-Glide Ergonomic Surface For Cast-Based Chairs. It Provides Excellent Protection From Carpet Wear Caused By Chair Casters. Rectangular Mat With Lip Is 100 Percent Recyclable Mat And Manufactured Using Up To 30 Percent Renewable Energy. Gripper Back Is Designed For Use On Standard-Pile Carpet Applications Up To 3/8" Thick. More From The Manufacturer.